A Lockheed L.749 ( F-BAZY) is seen here dropping a rescue dinghy. 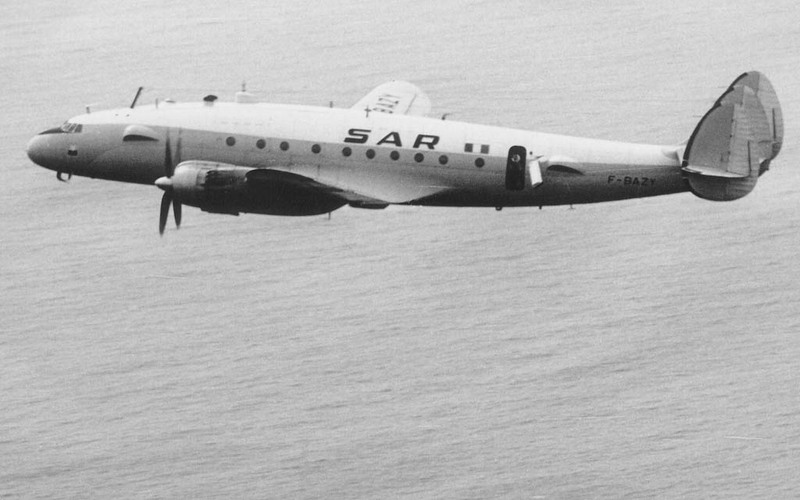 6 former Air France Constellations were used until January 1970 in the French Search and Rescue Squadron 00.099, which was based in Toulouse-Francazal, France. Text and photo was kindly provided by J.C. Thouvenel in July 2004.